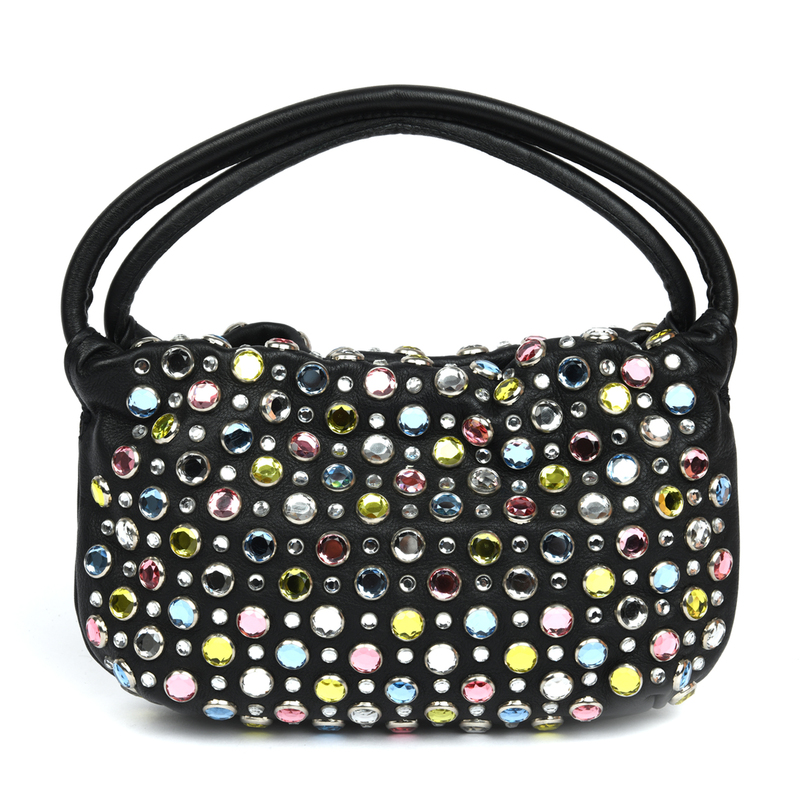 Black leather shoulder bag with multi- color crystal embellishments throughout. This Sonia Rykiel shoulder bag has double handles that lace through gathered inner top , a press stud fastening at top, designer-embossed satin lining and an interior silver chain-link key-fob. Exterior: There is light wear on the edges of the handles. Interior: The interior polyester lining is clean and stain free. Hardware: The silver-tone magnetic snap button and the eyelets (Both on the interior of the bag) have light wear and scratches. LabelCentric is not affiliated with Sonia Rykiel. We guarantee this Sonia Rykiel item to be authentic ( find out how ). Sonia Rykiel® is a registered trademark of Sonia Rykiel.